July is always associated with our day of independence here in the USA. According to holiday insights, daily July tributes include Cousins and Parents Day on July 24, with the 26th being Aunt and Uncle Day and the 30th sharing cheesecakes and father in laws! Did you know the month of July is registered with the National Special Events Registry as Sandwich Generation Month? The Sandwich Generation is a generation of people who are caring for their aging parents while supporting their own children. AARP, the Pew Research Center, and The Gauardian.Uk agree the numbers are staggering. The average caregiver is said to be the midlife age of 49 and primarily women. In addition to working a full time job, she also spends about 19 hours a week providing care to a loved one. 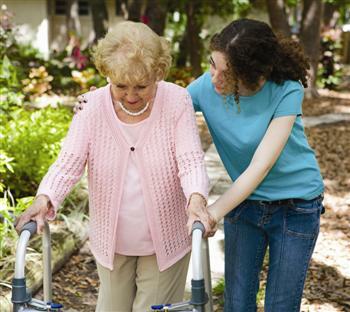 Nearly 66 million Americans are currently caregivers, including me. The midlife sandwich is anything but pleasurable, just as the statistics suggest. When my youngest son went off to college, the “Empty Nest” syndrome struck me briefly. Conversely, for hubby that time was extensive and especially tough. With the internet and technology, I felt the boys were by close even when they were across the world. With the help of Skype and Facebook, the empty nest syndrome diminished much faster than we expected. Moving forward midlife offered few challenges outside of the economic struggles we, like so many others in our industry, were facing. Other than not being able to clothes shop regularly and the stress of budget constraints, I really had no issues. The most difficult task for me was learning to prepare meals for two. Can you believe that? Gosh, we ate leftovers at least three times a week! Working from home has always afforded me the ability to care for the family. There are so many more things to consider when caring for both your kids and parents at the same time as compared to nursing a sick person to health or disciplining an unruly teen. My father had been living alone since mom passed in 1999. When his mobility began to noticeably deteriorate, we suggested he move in with one of us or seek other help. He did not realize the severity or perhaps he could not admit that he needed help. Either way, it wasn’t until living expenses increased beyond his means that he agreed to accept help. In May, Dad moved in with us. At the same time my son, who was between degrees, was also living at home. The emotional stress is the worst in my opinion. To put it bluntly, my dad came here to live out his life; he came to die. The additional errands, extra housework, and the lack of privacy are secondary issues and minor in comparison. Health problems, poor hygiene habits, and safety are of greater concern. These sensitive topics require creative and compassionate words and are quite stressful to address. The affect this stress has on a family is unimaginable. The hubby, being the in law, gets the brunt of blame. Oftentimes my father will blame others for something he cannot or did not do, namely my hubby. He in turn complains to me to relieve his stress. Then there is my son to consider. Yes, he is an adult and aware of such things, nonetheless he has to endure witnessing the deterioration of his grandfather. Being a sensitive person, he chose to live on campus since January, wonder why. Read. Read. Read. Websites like AARP, Agency on Aging, and Mayo Clinic offer very good advice for managing senior problems. Learning the common problems and solutions of seniors in advance has helped immensely. Discuss living arrangements, money, foods, television habits, driving, and other day-to-day living scenarios with the entire family from the start. Sharing expectations and schedules makes for an easier transition for everyone, trust me on this. One very helpful recommendation I found was to make a list of concerns for the doctor to address with Dad rather than myself. Submit that list upon arrival for the doctor visit. This allows time for them to review before commencing. Seniors hold their doctors in high regard and find it easier to discuss issues with a doctor. They respect and follow their doctor’s instructions. As the caretaker, one must take charge but not overtake the parents’ life. It is important to give concise directions and explanations while speaking respectfully to reduce animosity or embarrassment. My father looks forward to contributing to household expenses and, of course, family pizza night. In doing so, it give him a sense of responsibility and worth. As for the kids, discuss what is critical while leaving out the day-to-day ailment information. Ask them to assist with chores around the house or to run errands. The caretaker must realize that more work and less personal time are two inevitable realities. Balancing care for yourself and others can be a difficult task. Having ample funds could afford me assistance perhaps with housework, laundry, or other time consuming tasks however that is not feasible at present. Local senior centers and agencies hold events for seniors on a regular basis. Many of these are free or charge only a few dollars to attend. These events can provide caretakers a few free hours several times per month as well as entertainment for mom or dad. I have found extensive information yet little monetary assistance available for the Sandwich Generation. As with past generations, as the economy improves, I expect this midlife sandwich dilemma will too. Wow that must have been some adjustment you made when you Father came to live with you. My Mother lives in a retirement home and I am 5 minutes away so I see her every day. Fiercely independent she still likes to do everything for herself. However, I am noticing that slowly she is letting me do a few things so I know she is becoming more frail. Must be so hard to give up their independence and I am careful to not take over. Cos Mum still knows her own mind and is so much more active like many of her peers. Thanks for sharing this with us Kathy. Some great information and I’m sure there will be others who identify with your situation too. Allowing us help is a sign in my opinion. I take over only when necessary and always try to make dad feel as if he is in control. That is a communication craft that I am learning to perfect. Seems I was called to be a caretaker. I have assisted in raising several nieces and have cared for many of the family members both blood and in law. My hope is that someone out there will benefit from my experiences. Thank you for stopping by Patricia, I really do appreciate it. Yes, I can identify with Kathy, it is not easy to take care of old aged grandparents and parents. They have both physical and emotional needs. In asia countries here, most of the senior citizen stay with their children. The Sandwich Generation is definitely not the easiest thing to deal with. And each family has different challenges and issues to deal with. But there are many rewards intertwined with the frustrations. And what a great legacy you and your husband are leaving for your own family. Thanks for the interesting tips and information.